Amy K. Dacey is currently a resident fellow at the Institute of Politics at the Harvard Kennedy School. 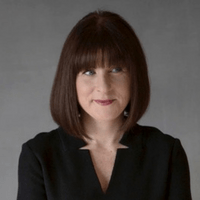 Amy was most recently the Executive Vice President and Managing Director, Washington, D.C. Office and National Public Affairs for MWWPR, one of the world’s top independent public relations agencies. Amy is a versatile, forward-thinking, and influential leader with a history of success in providing and communicating a clear vision, setting strategic direction, and serving as a catalyst for positive change to further organizations’ missions, values, and goals. Amy served as the CEO of the Democratic National Committee in 2016, where she was instrumental in breathing new life into the organization and paving its way for the 2016 Presidential Election. Under her leadership, the DNC has expanded its diversity program and has invested in technology, social media and several other critical programs, and reduced its multimillion-dollar debt down to zero. Amy joined the DNC from EMILY’s List, where she was brought in as Executive Director to increase membership and funding, and guide the organization’s transition to a new President. Prior to EMILY’s List Amy was Government Relations Director and as Senior Advisor to the International Secretary Treasurer at Service Employees International Union (SEIU). Before joining SEIU she held posts at various political organizations, including Fund for America, Keeping America’s Promise Political Action Committee, and John Kerry for President, the Democratic Senatorial Campaign Committee, the Democratic Congressional Campaign committee and various elected officials. Amy excels at navigating complex situations and facilitating dialogues to bridge issues, build consensus, break through barriers to effective communications, and solve problems among stakeholders with differing agendas. Amy’s academic credentials include a M.A. in Political Science from The American University and a B.A. in Political Science and History from Binghamton University.